Serving over 100,000 people annually, Seattle’s Taproot Theatre is the city’s largest mid-size professional theater company, offering a 6-show Mainstage season, touring programs, and acting classes. 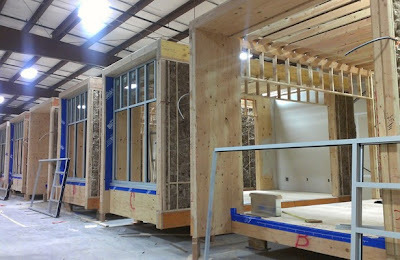 Method Homes — acting under its commercial division Method Prefab — has been working on the construction of a 21 unit multi-use modular expansion for the theatre. The new 12,000 square foot adaptive space includes dressing rooms, offices, scene workshop, lobby and cafe/wine bar. Construction is now more than halfway through with plans to set in late March.